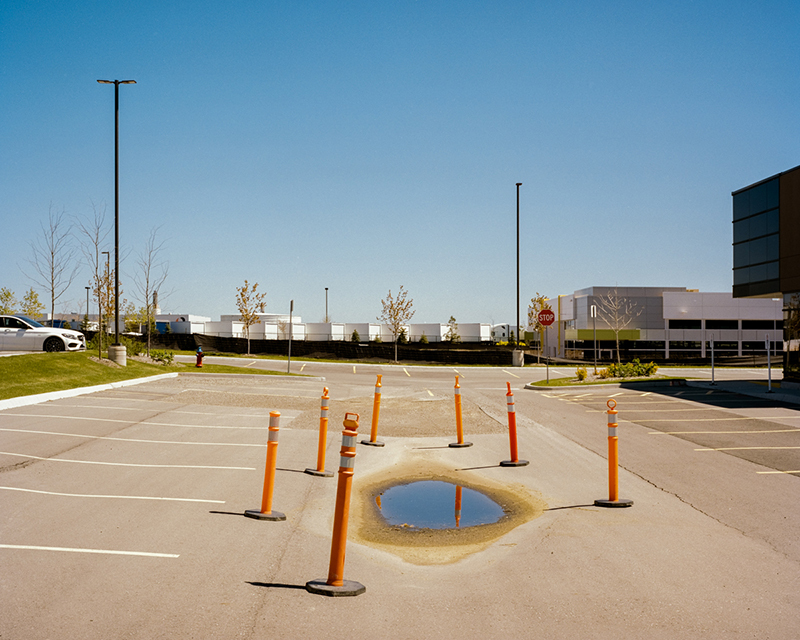 Will Cox is a American-Canadian photographer who is based in Toronto. Will graduated from the University of Toronto where he studied politics and philosophy. 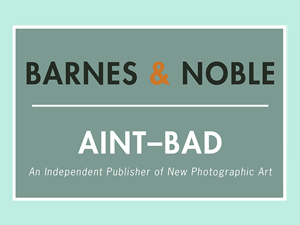 He is a self-taught photographer whose work addresses narratives of consumerism and excess in the post-industrialized world. One of the six floating water reservoirs in Toronto. 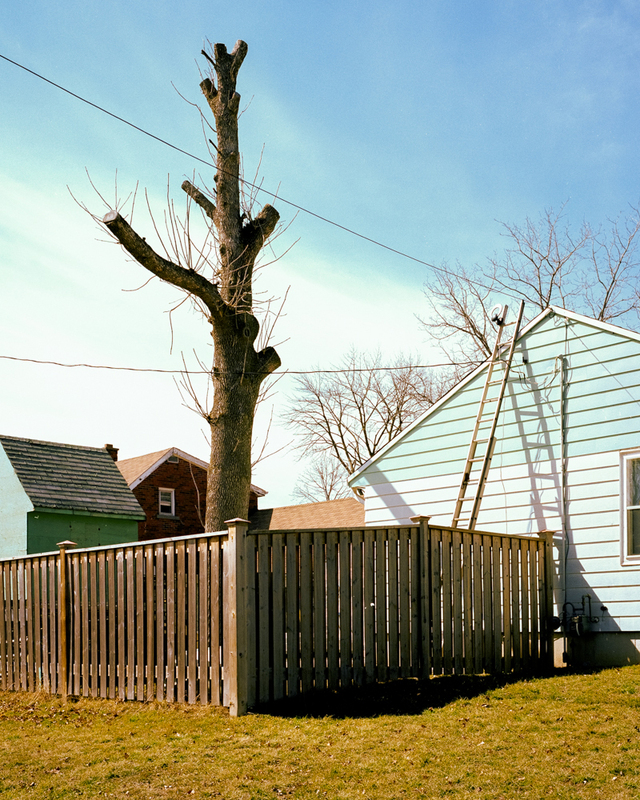 A tree in the midst of being removed from a property in Oakville, a suburb outside of Toronto. A stalled rezoning application has left this property vacant since 2013. 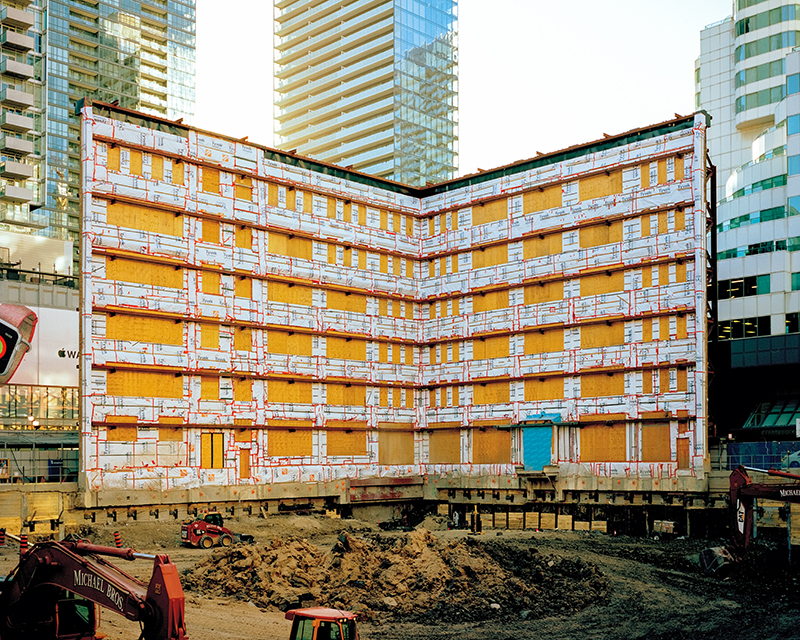 In the late nighties, Toronto’s municipal government developed legislation that would attract developers by reducing planning and building regulation. 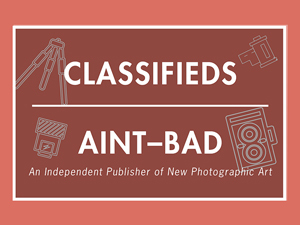 Those choices and its legacy, is what this series of photographs is about. 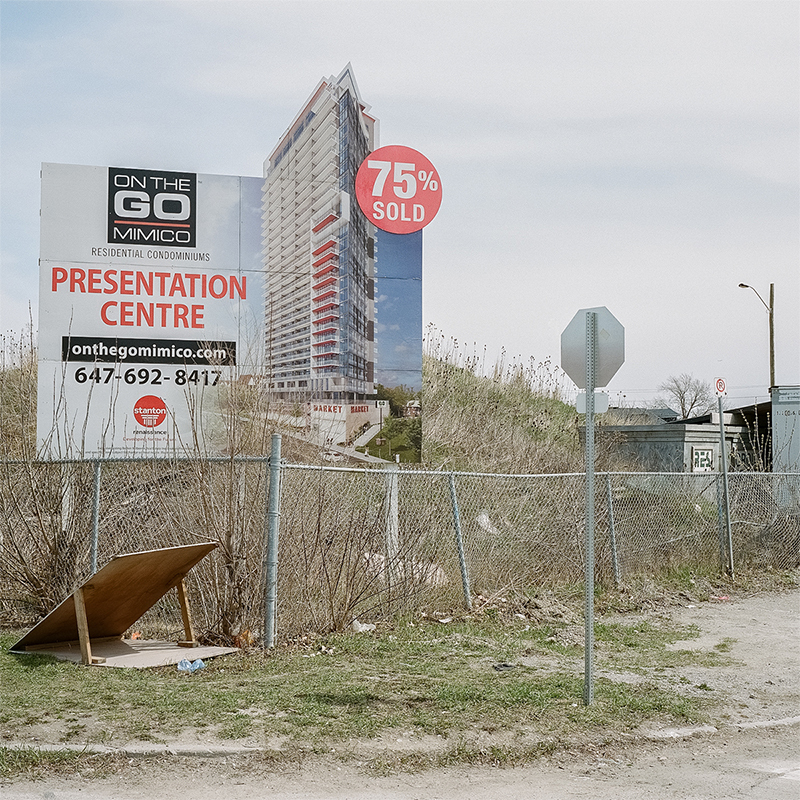 Transitional Landscapes is an attempt to build a historical document of Toronto and its surrounding suburban areas in the midst of the city’s current transformation, seeking to capture what is lost, what remains, and what replaces. The series itself features no people, but is very much interested in the decisions we, as humans make. 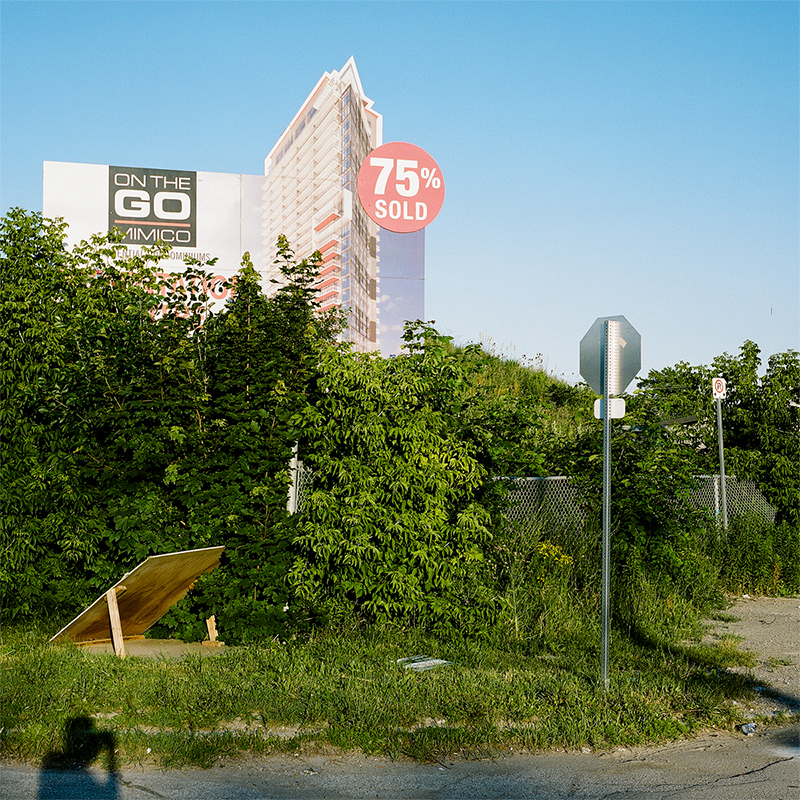 The images reference these decisions obliquely by addressing concerns about how we exist, and move through modern cities. It asks viewers to imagine who these places are really for, and more broadly what they will be in the future. 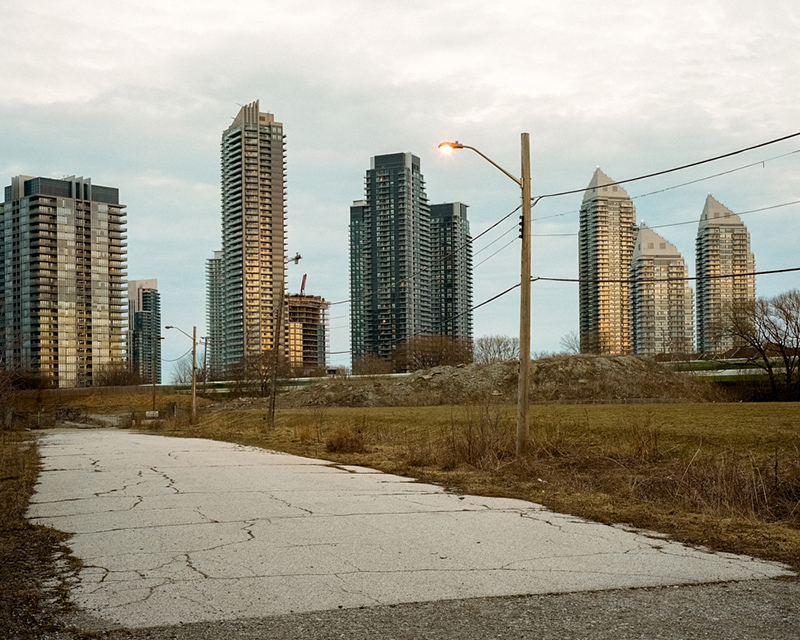 With the increasing involvement of private companies in the development of policy, and other decision making processes Toronto has allowed these businesses to dictate the future character of the city. 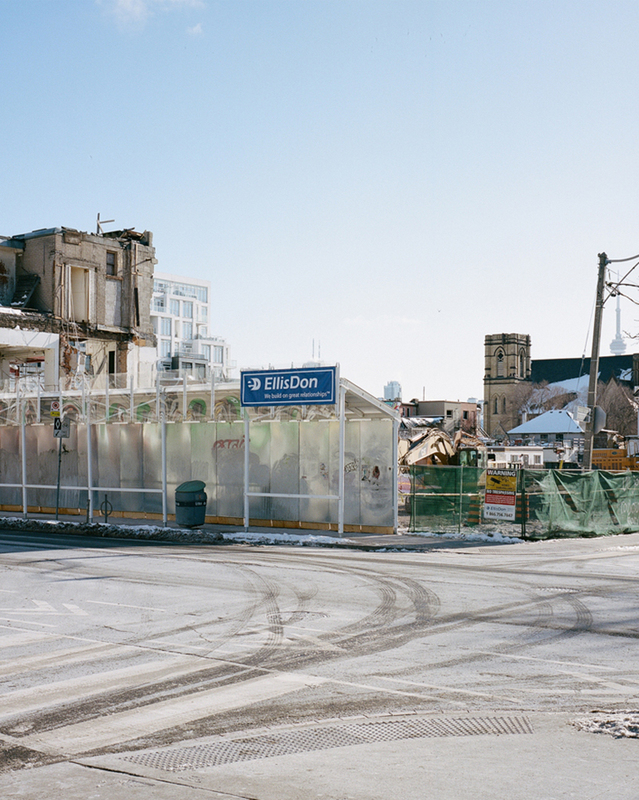 An open construction site in downtown Toronto. A second photograph of the same development site, made four months or so later. The facade of the former Westinghouse building. 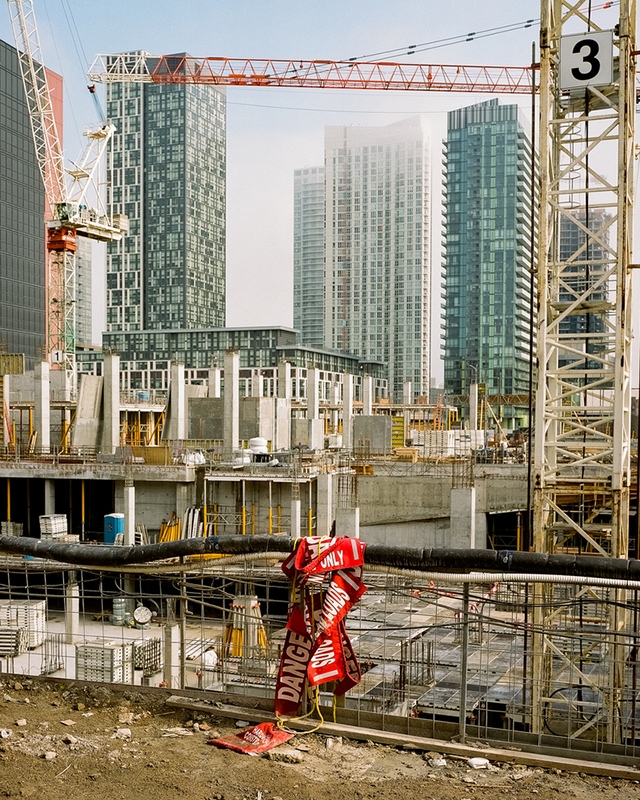 Two towers will occupy the space behind it, one 48-storeys, and the other 44-storeys tall. 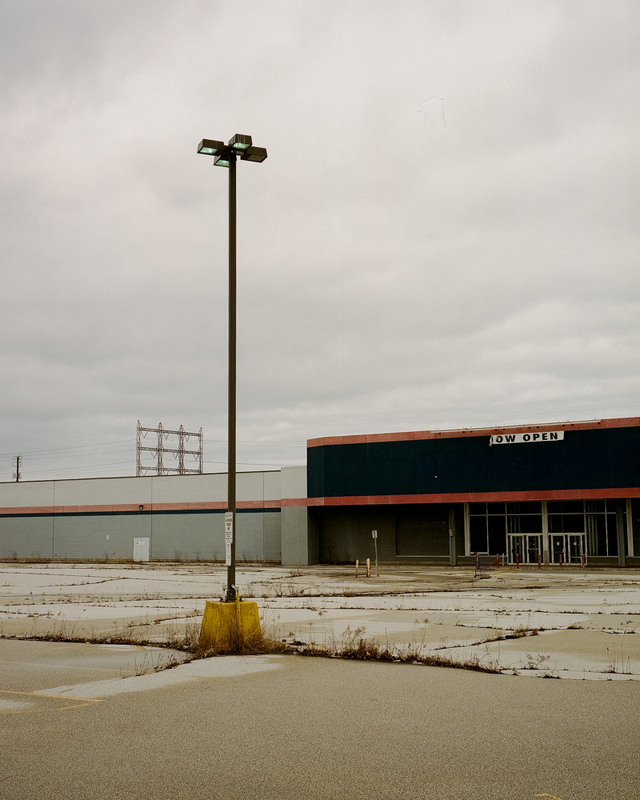 A new business park put up in Burlington, a suburb of Toronto. 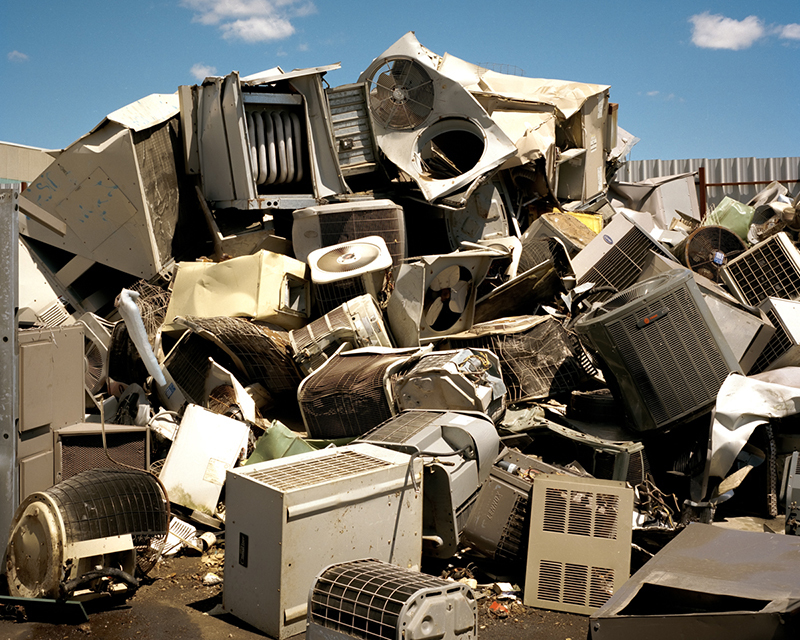 A heap of air conditioning units at a recycling and disposal site located in the suburbs near Toronto. 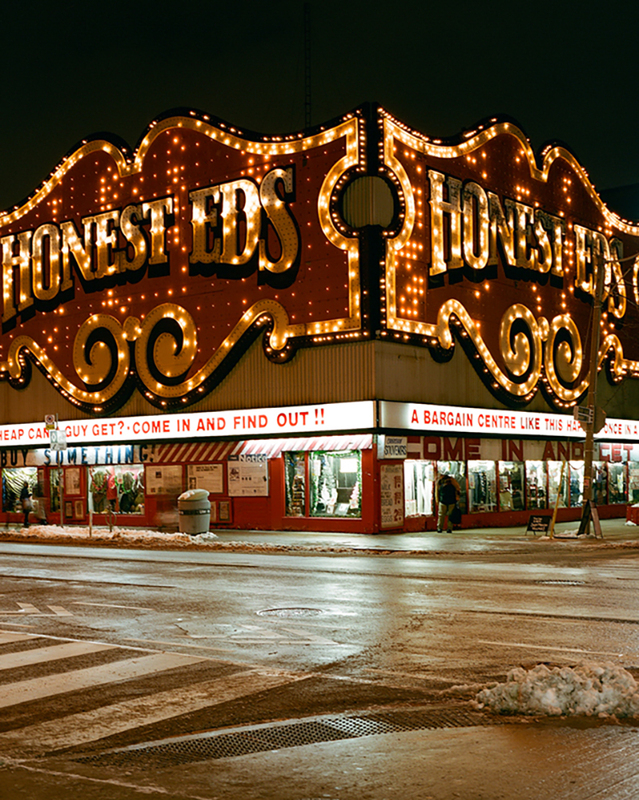 A famous Toronto discount store during the last days of it being open. A second image made just over a year later of the same corner. A view of new condominiums put up in a rapidly expanding area in the outskirts of the city. 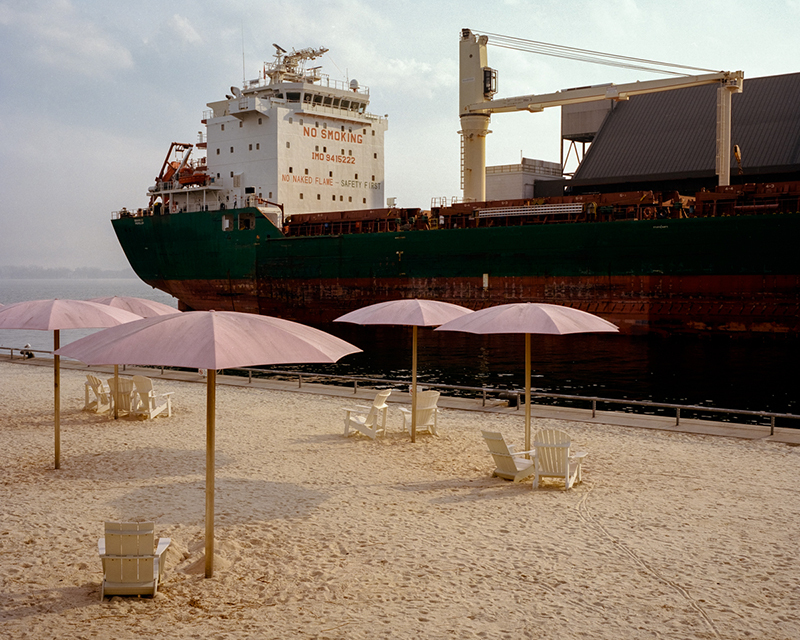 Sugar Beach was developed by the city of Toronto and opened in 2010, right next to the Redpath Sugar factory. 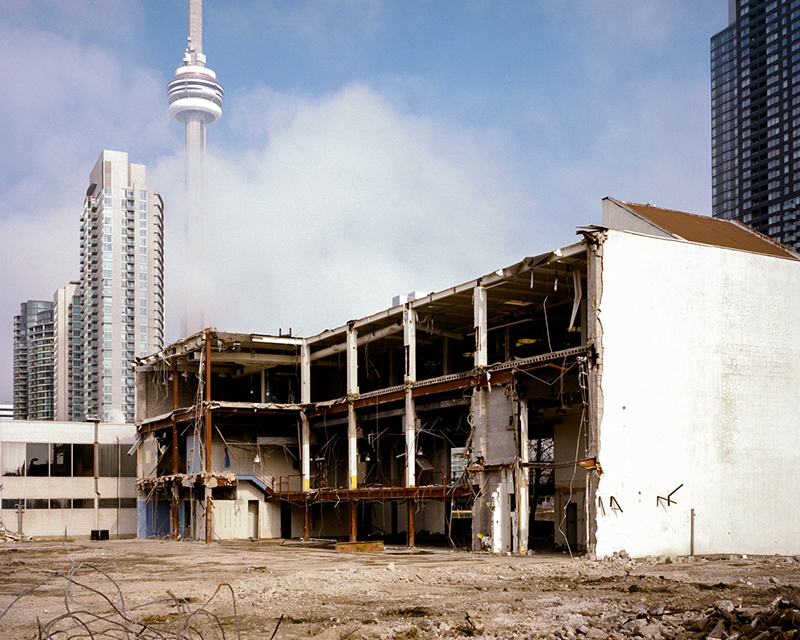 Early stages of the tear down at the former the Globe and Mail, a Canadian newspaper. The site will become seven mixed-use buildings. 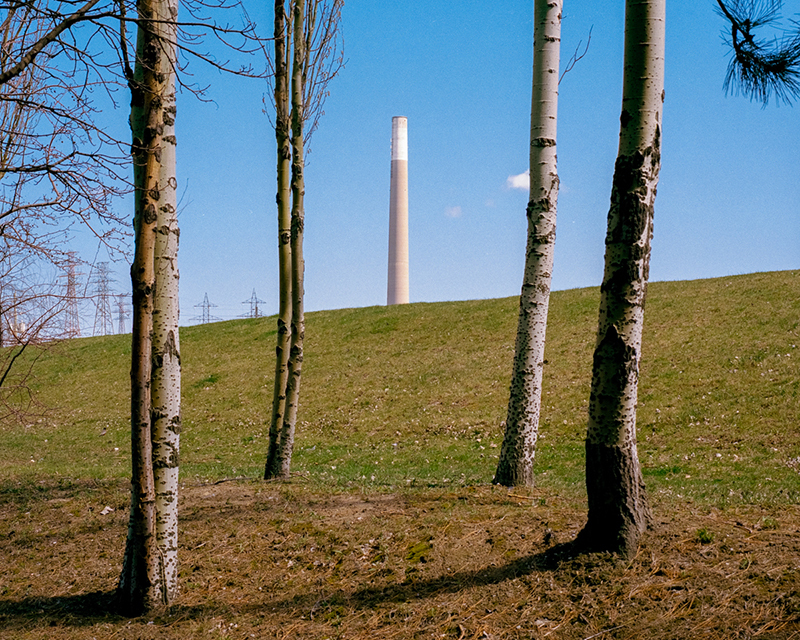 The stack from the Hearn Generating Station. 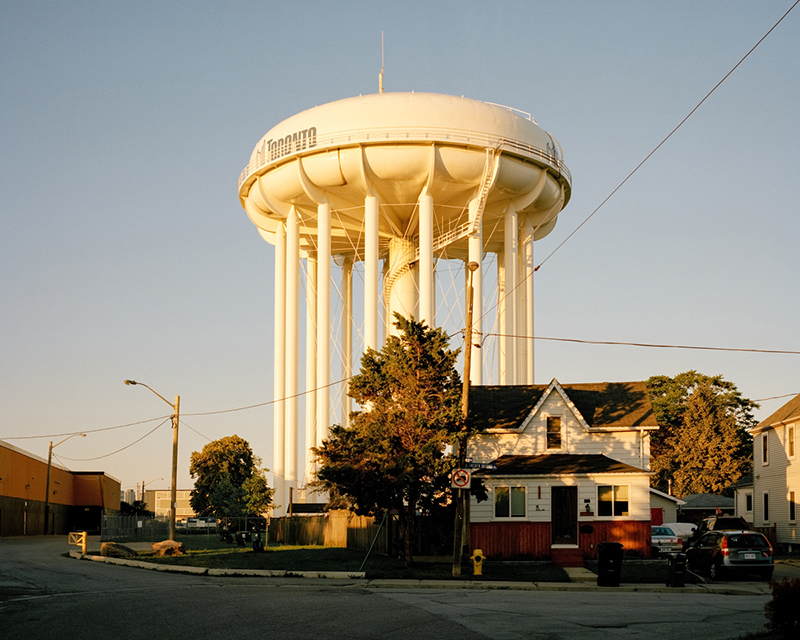 The plant has been shut down since 1983. 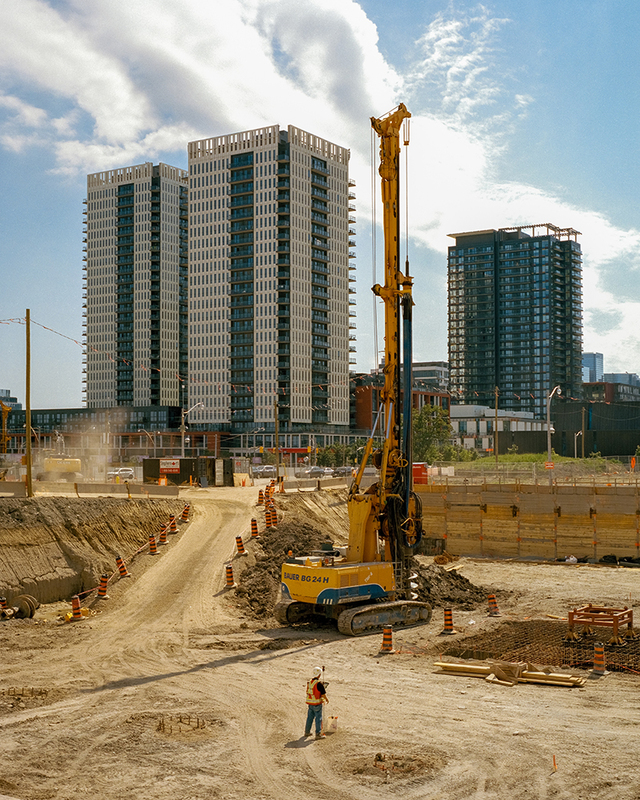 A new development in Regent Park, a neighborhood of Toronto. To view more of Will Cox’s work please visit his website.